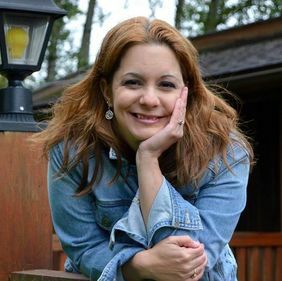 Michelle S. Lazurek is an award-winning author, speaker, pastor’s wife and mother. Winner of the Golden Scroll Children’s Book of the Year, the Enduring Light Silver Medal and the Maxwell Award, she is a member of the Christian Author’s Network and the Advanced Writers and Speakers Association. She is also an associate literary agent with Wordwise Media Services. 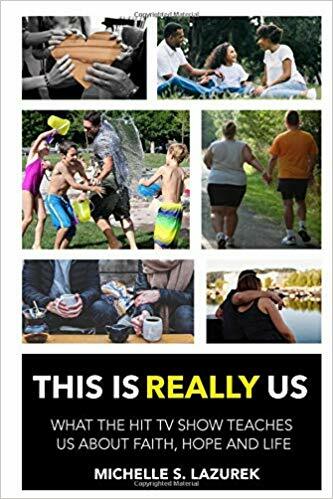 My newest book called, This is Us: what the hit TV Show Teaches us about Faith Hope and Life is based upon the hit TV show This is Us. In the book, I compare the biblical themes/characters in the show to the themes/people in the Bible. My hope is to help Christians view the Bible through the lens of their TV screens and learn how to interact with culture in a biblical way. I write non-fiction and children’s fiction. I specialize in giving a fresh spin on biblical topics. I felt a calling and self-published my first book in 2011. Hearing from others that I have helped them to see the Bible and perhaps their lives in a new way is what wakes me up in the morning. I keep regular hours, treating it like a full -time job. After my kids get on the bus and I get ready for the day, I begin writing. I write articles for crosswalk.com and ibeleive.com, write movie reviews for Movieguide, and work as a literary agent for Wordwise Media services. I try to stop when my kids get off the school bus, but not all the time. Writing is hard work! I make little money for what I do. I have a hard time sometimes justifying not getting paid (or getting paid little) for what I do. Getting an email from someone who read my work and felt heard or changed their thinking, or better yet, their actions, based on what I wrote is so fulfilling. What is the craziest thing you’ve experienced as an author? One of my articles about the Fifty Shades of Gray movie went viral. To see it being shared by friends and friends of friends was something I never thought would happen to me. I write with integrity and authenticity. I think people can relate and my work is something unique I bring to the writing world. I have two children’s books that are being shopped around with my agent.